The Minds of RowCity Group! Our Version of Private Equity! 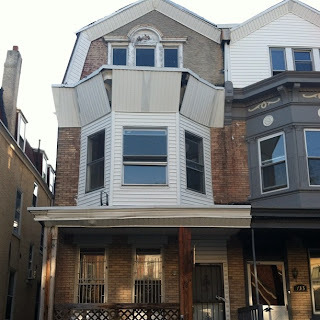 135 W. Sharpnack Street - "Revive Philly"
As announced earlier this year we partnered with Elliott Enterprises Network to create a real estate investment company called JB Elliott Homes. 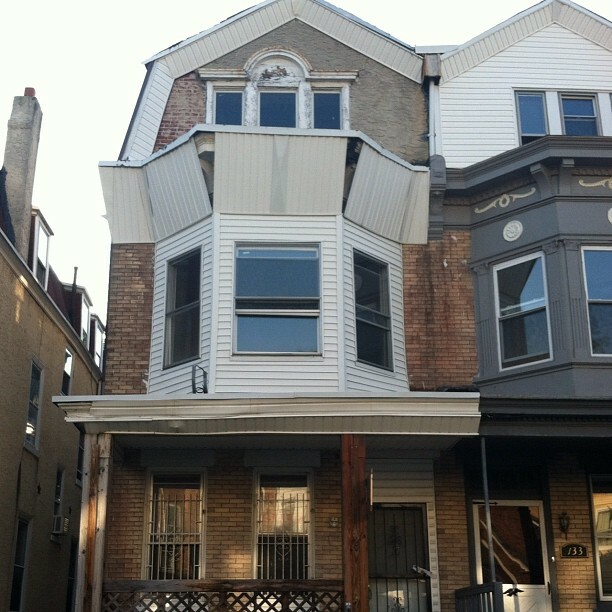 Along with some other investments, we are in the initial stages of a rehab project for a 3-story triplex in the West Mt Airy section of Philadelphia, PA. The property includes three 2-bedroom apartments. West Mt Airy is truly a wonderful neighborhood (as there are many other wonderful neighborhoods in Philly) to live and many proud homeowners are settling there with their families. There is a thriving business section located above and below the 7000 block of Germantown Avenue! Investors, neighborhood residents, and business owners are proud of the changes over the last 5-10 years! Property values appear to be consistent and strong in the area, and residents seem to appreciate their investments! The rehabilation of the triplex is expected to be complete in August! Please contact us with any and all tenant/general inquiries about the property and business. Also, if you are interested in any of the following please contact us: rehabbing properties, buying/selling a home, investing in real estate for the first time, becoming a tenant, etc. We have resources for all your real estate inquiries! Thanks for stopping by. Is it Magic!!! LA Dodgers being sold to Magic Johnsons Group! WOW! Now I had to release that cheer of joy for Magic Johnson and Co! Some time last year, Magic began liquidating most of his assets to put himself in position to bid with Mark Walter of Guggenheim Partners and others. Congrats to Magic and his group because this is such an amazing milestone for the local LA community. Magic Johnson has truly become an amazing businessman, and we will continue to learn from his calculated and innovative investments! The group, which will be called Guggenheim Baseball Management has agreed to purchase the LA Dodgers for a record $2 billion, which is almost twice the amount Stephen Ross paid for the Miami Dolphins in 2008! This move is great for LA and the US economy because not only do the Dodgers receive new motivated owners, but they get a fan favorite for LA Sports which helps revitalize LA for tourism, future and current residents, investors in local businesses, and much more! I'm sure with Magics smile and the other investors experience they will build the Dodgers into one of the premier sports franchises! So we all at JB Sutton wish Magic and Co all the success! We are pleased to announce a venture capital investment with Elliott Enterprises Network, LLC (located in Philadelphia, PA) called "JB Elliott Homes, LLC"! This exciting new venture will be primarily based in the Philadelphia, PA area, as part of the agreement with Elliott Enterprises. 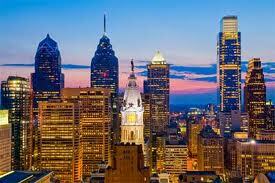 JB Elliott Homes will take an aggressive and innovative approach with real estate in Philly! This venture will indulge in flipping, home rentals, re-developing distressed properties, consumer consulting, and more. With the resources of our company JB Sutton, along with the savvy investors at Elliott Enterprises, this venture will develop a diverse portfolio of residential and commercial real estate. Philadelphia is blossoming with re-developing neighborhoods and diverse locations for residential and commercial investing. Full details of initial funding and the venture agreement will be disclosed at a later date, but JB Sutton and Elliott Enterprises will each hold a 50% equity stake in the venture. If your interested in real estate investment opportunities or have any questions regarding real estate in Philadelphia please contact us here! Stay tuned to the news and venture updates! Further details will be announced in the press release, and one can here periodic updates at our Twitter @JBSutton! As always we thank everyone for their continued support! Capitalism is summed up as private ownership to produce goods or services, which results in the accumulation of capital, competitive markets, voluntary exchange, and wage labor. America is a breeding ground for capitalists and capitalism, but many have neglected their personal morals and ethics along their journeys to succeed. Examples include the Enron fiasco, the recent real estate issues, and so many incidents in our history which influence typical Americans to feel Capitalists are villainous in nature. 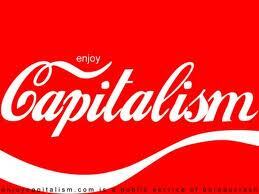 What we feel would introduce consistent productive Americans is the direct result of Capitalism! Imagine families teaching their children to respect finances, credit cards being used responsibly, real estate being used as an investment tool along with the thought of achieving the "American Dream", and many more postliminary positive effects. As a result families would be able to inherently pass along both financial knowledge and tools, banks would be excited to see more consistent potential home owners, families would be better equipped to handle these periodic economic downturns, and the ultimate goal of decreasing the separation between the economical classes would sound more reasonable! Here at JB Sutton we typically use the term Entrepreneurship in referencing our investments to lessen the antagonistic feel of the word Capitalism! So we feel it's our duty to internalize morals and ethics in every aspect of our company and within the team in our organization! Our hope is as we continue to grow, people will always think of us as one of the premier investing groups that consider the moral and ethical effects of all parties involved as deals finalize and relationships are built. Here at JB Sutton, we feel Branding is one of the single most important aspects of a successful business! 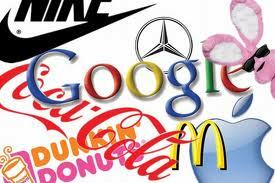 Becoming so engulfed in your business, that one develops the business name or logo into an extension of what the people involved are all about. We are currently in the final stages of designing our Yboomers site which will display brands, news, businesses and technology aspects of the Y Generation. We plan to build the site as a community based blog, in order to become more knowledgeable on what the web world wants! We really are focusing on the Y Generation because the founding writers were all born in the Y Generation and we feel this generation has so much more to offer, but there is so much many have forgotten. We plan to compare current innovation to past trendsetting tech devices like the iPad. For example, the impact of the Palm Pilot so many cherished for years! In addition the Yboomers community will display tech and business news on startups, current web giants such as Facebook and Twitter, and innovative new trends in society today. We really love the current state of the internet and technology, but we want our readers to know we plan to make our impact as well! We will initiate brands and software through time, and we plan to launch them all from the Yboomers community! So stay tuned for the next online Innovation Database! Its called YBOOMERS! Goldman Sachs, one of the worlds largest investment banking and securities firms has initiated a small business program to help stimulate the economy and small business world. The initiative will help small owners gain valuable business management and accounting skills, gain access to additional working capital for their business, and continually gain support through Goldman Sachs extensive network of professional services and business associates. Many local entrepreneurs and small business owners have been challenged with the lack of small business developing networks in the Philadelphia area, so this initiative can help boost the local small business community. Over recent years, small businesses have been providing more jobs to the nation and this program can help motivate our local economy! To find out more information, follow the link below and send an email link below to the program department for the initiative. 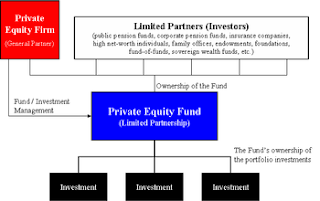 The diagram above demonstrates the traditional investing structure of many private equity firms. Working capital is distributed to sub-funds created by the firm and the investing managers/funds managers strategically invest in companies within their related industries. There is a wide range of investment strategies, but the main objective is to obtain equity ownership in the industry related companies. Hello All! First we would like to thankyou for visiting our blog! This blog is a wholly owned subsidiary of RowCity Group, LLC. This platform will give our readers and associates to hear us discuss our investments, the current market trends, and more through the minds of our members! Please feel free to comment and contact us with your investment and idea inquiries! We also have advertising opportunities available, so please feel to contact us at the link below! Or simply use the "Ad Space" box above and your ad will continually be displayed to our readers and business community! Thanks Again! This blog discusses the minds and opinions of the members of JB Sutton. The posts and all herein reflect our personal views of the markets and industries. We do not guarantee the information contained in this blog and we DO NOT expect our readers to rely upon the information and opinions in this blog to confirm their views on market trends, strategies, and investment opportunities. © Copyright 2008. RowCityBlog is a subsidiary of RowCity Group, LLC. All rights reserved. Simple theme. Theme images by DNY59. Powered by Blogger.